Federal LE Tactical 12ga ammo generates dependable shot patterns and high-velocities for an improved short and mid-range terminal performance fit for our boys in blue. 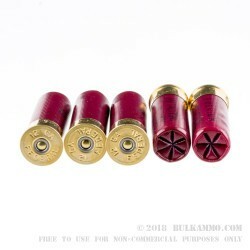 This LE127 00 buckshot is similar to the LE132 00 buckshot in that both have 9 pellets of 00 buckshot but this load is loaded a little hotter with a muzzle velocity of 1325 FPS vs LE132 00 being loaded to 1145 FPS. 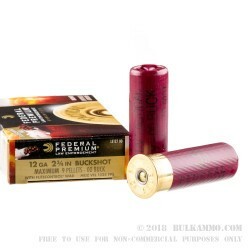 By combining top-shelf components like Federal's Flightcontrol wad, 00 buckshot, and 2-3/4" reloadable polymer shells, Federal has created extremely effective self-protection loads. When you fire this 12ga ammo, the Flightcontrol wad creates a funnel-effect that channels the pellets toward your intended target. The wad construction facilitates predictable shot formations that will pummel an assailant at close range. Federal LE Tactical is precision loaded shotgun ammo for shooters looking for a powerful self-defense load. 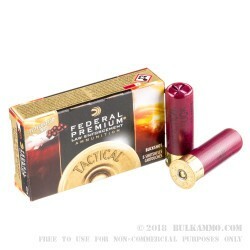 All Federal ammo is American-made and manufactured in their Anoka, MN facility. 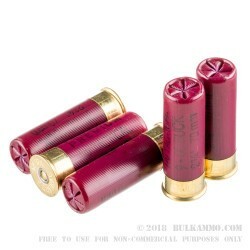 Order a few 5-round boxes of this 12ga ammo today!